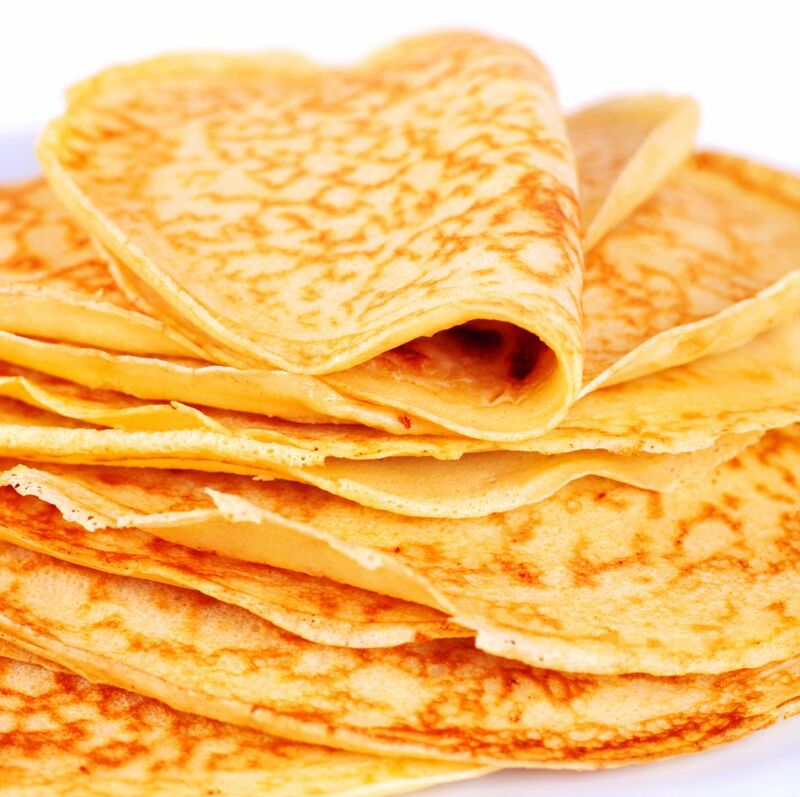 Crespelle are paper-thin pancakes, the Italian equivalent of France's crêpes, and like the French version, they can be either sweet or savory. This recipe is a simple, sweet version, which can be served with the topping or filling of your choice: Nutella, dark melted chocolate, fresh fruit such as strawberries or bananas, chestnut cream, mascarpone or ricotta cream, zabaglione, jam, etc. To make this into a savory version, omit the sugar and alcohol and slightly increase the amount of salt. In that case, you can use any number of savory fillings; for example spinach and ricotta, the same filling that would be used in spinach and ricotta cannelloni. Though the dish now has a certain aura of elegance to it, in the past crespelle were considered poor people's food. The change came in 1895, when Henri Carpentier, Maître at Montecarlo's Café de Paris, prepared them at the table for the Prince of Wales, Edward VIII. Edward named them after his lady friend, Crêpes Suzette. Beat the egg and yolks together with the sugar and the salt, then incorporate the flour and slowly add the milk, so as to obtain a creamy batter. Whip the reserved egg white to moderately firm peaks and carefully fold in the liquor, then fold the mixture into the batter. Melt 2 tablespoons of the butter and fold it into the batter too. Let the batter sit in a cool place for at least 1 hour. When you are ready to proceed, heat your crepe pan over medium heat. Melt the remaining butter and lightly brush the crêpe pan. Pour 2 to 3 tablespoons of batter into the center of the pan and distribute it evenly by tilting the pan. Cook for a couple of minutes, then flip the crespella over and cook for a couple of minutes more; don't let it get too brown. Continue until you have finished the batter, stacking the finished crespelle on a plate and covering them with a cloth to keep them warm.